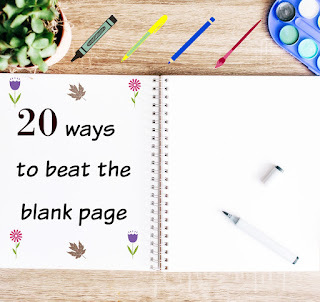 There it sits - blank, clean, virgin-white - a new page on which to write. A fresh start. New work waiting to be expressed. So why does my heart palpate, find the blankness icily chilling instead of inviting? It's such a small thing to halt a writer with hesitation. All those what-ifs scream out our previous failures - ink-blotted scribbles, deficient daubs, lackadaisical prose and inability to colour well within the lines of art. 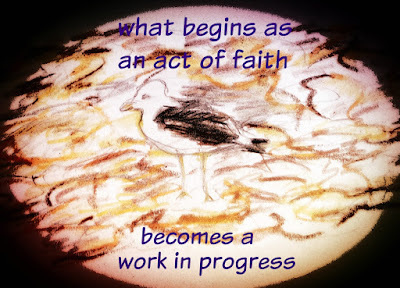 It must be overcome, of course, or we would never start our potential masterpiece, beguiling blog post, pretty poetry, or just our everyday ordinary showing up to offer a faithful labour of love at the altar of creativity. All art begins with a mark. 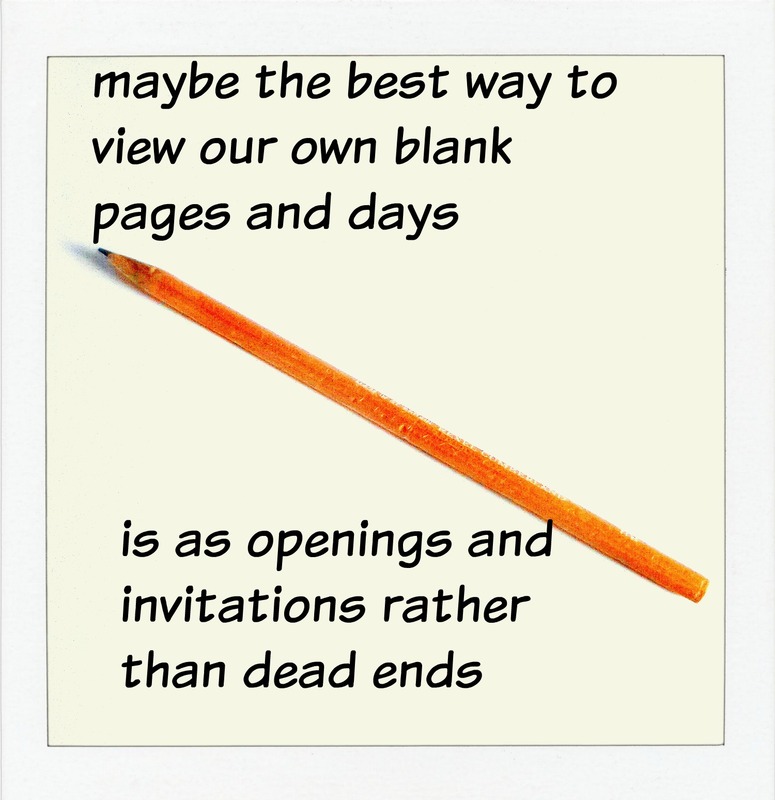 all creativity invites us to start with something. So where to begin to leave our mark when a mind feels bereft of thought? 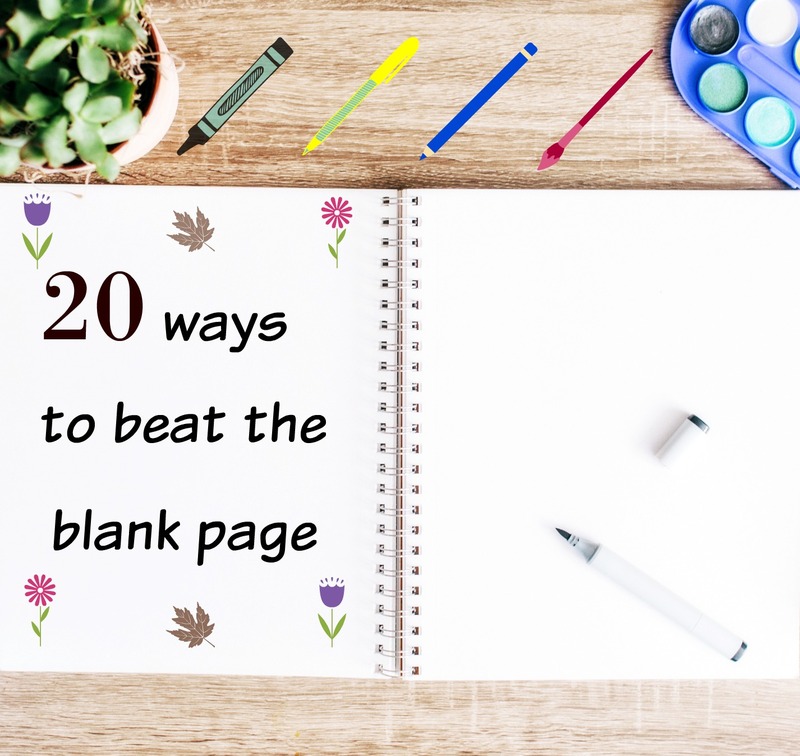 It's a dilemma whether we're staring at a blank screen or pristine page. Fear of making a mess can stop us in our tracks, because who wants to screw up before we've barely begun? Not me, probably not you, either. 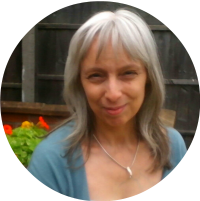 I'm sharing what helped me after I took a prolonged break and feared I might never write another word. I began with recognising the limiters on leaving a mark. Mine were: fatigue, false expectations, life circumstances, poor self-esteem, people-approval issues, loss of confidence. Maybe some of those resonate with you? Words beget words. Lines sweep into form. Colour bleeds and blends. Art is taking shape...and we can always set it aside for a while, strike through, erase, draw circles around potentially usable stuff and learn as we go. Thankfully, no matter how today may have turned out, God continually offers us a blank page fresh start, an opportunity to begin again by His grace. 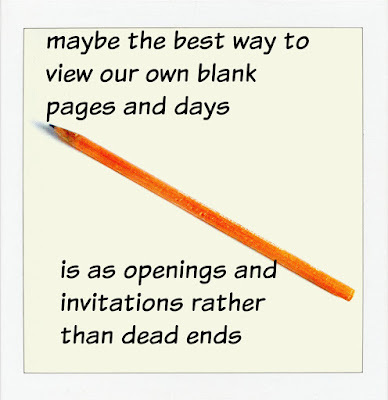 And maybe the best way to view our own blank pages and days is as openings and invitations rather than dead ends. Sometimes we just have to trust art and words will flow when they're ready to come, and continue nurturing our souls while we wait. Happy writing and creating, friends! She enjoys encouraging others on their journey of life and faith at her blogs wordsofjoy.me and poetryjoy.com as she seeks to discover the poetic in the prosaic and the eternal in the temporal. You can connect with her on Twitter and on Facebook. Dear Joy, Thank you for being one of those who have encouraged me to keep on being stretched! 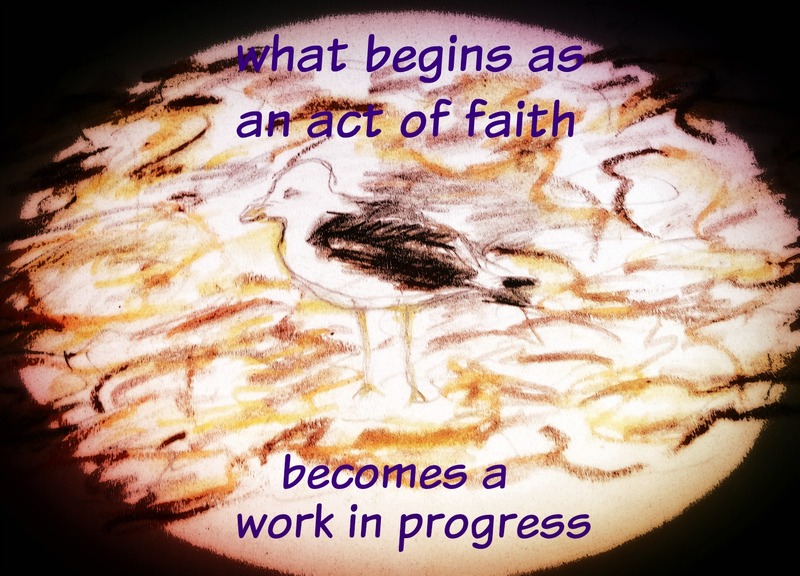 Because as I have persevered through this process, I am finding this so true: "What begins as an act of faith becomes a work in progress." May God Bless you as you are an encourager to so many! Thank you, Lesley! I'm so pleased you found something useful here. May you write bold and free as you continue to beat the fear of a blank page. Bless you, friend. Really practical and inspiring post. Thank you Joy!